A superb chunky study of a bird head on a twisted ivy shaft with base metal ferrule. The carving and shaft appears to be one length, not two parts. 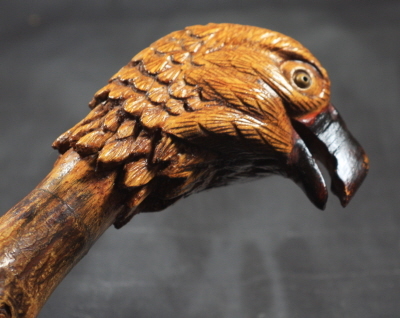 Lovely condition throughout- a very distinctive show piece of a cane.